Moving to Denver from the New York/ New Jersey area, there were three things that I missed more than anything else – bagels, pizza, and ice cream. I have always grown up surrounded by local homemade ice cream joints that contained outrageous flavors and the best waffle cones, so naturally I had to fill that void the second I moved west. In the year that I’ve been here, I have had plenty of scoops and have found my favorite ice cream spots around downtown Denver. Little Man Ice Cream was my first trip for ice cream in Denver and certainly not my last. This place is definitely not a hidden gem which becomes apparent the second you take your first steps toward the place. On any given night the lines wrap around the large milk jug’s patio and down the street. Although the lines may be long, the wait is absolutely worth it. The joint’s flavor range anywhere from a classic vanilla bean to Earl Grey Tea or Peach Cobbler. Note to all the fellow ice cream lovers: get there earlier in the day before the flavors run out! Note pt. 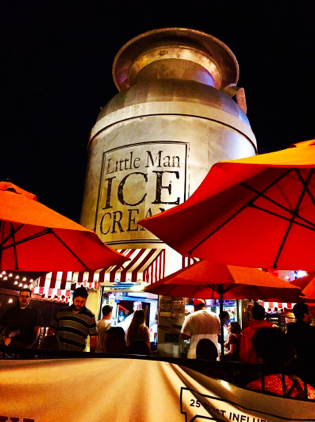 2: If you’re craving Little Man Ice Cream and you are around Union Station, drop by Milkbox Ice Creamery who serve 16 delicious flavors of ice cream sourced straight from the Little Man, himself!! Liks has been around for close to 40 years and is located in the quaint neighborhood of Capitol Hill just minutes from downtown. Although it’s a smaller joint, you can find any ice cream flavor your heart desires. Cups, cones, sundaes, you name it –they’ve got it! 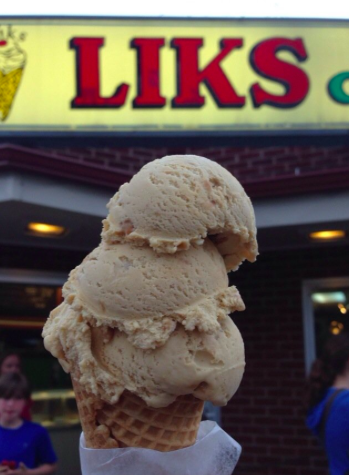 Extra, Extra : Liks has a Waffle Cone Club you can join to get monthly texts about new flavors and great deals! Writers Choice: obviously the tacos!! 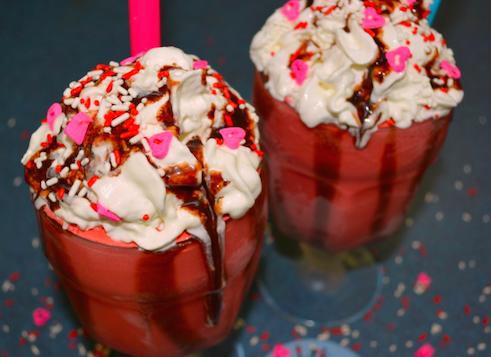 With Heart Break Cream, The Love Potion, and Tiki Toarched Toasted Coconut. Not to mention all the toppings in the world!! Nuggs may be a little bit farther outside of downtown Denver but the extra few minute drive down Colfax is worth it for the size scoops you receive. The brothers that own this joint also own a local BBQ restaurant called Brother’s BBQ, where they first started their experimenting with flavors. Nuggs will not disappoint in the taste and size category. The first time at Nugg’s I made the mistake of ordering a double scoop that came out bigger than my head! Craving ice cream on the Tuesday? Head to Nugg’s for their Taco Tuesday deal – 1 for $3.99 or 3 for $9.99, one nugg’s sized scoop per taco, gluten free taco shell, and unlimited toppings! You can find Sweet Cow locations all over Colorado, their closet location to downtown Denver located in the highlands. The shop has 24 flavors with 9 staples you can find year round as well as 15 flavors that rotate on a bi-monthly basis. 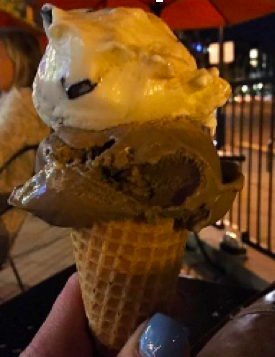 Sweet Cow prides themselves on using locally sourced ingredients to make their ice cream and serve it only in products that are compostable or recyclable. 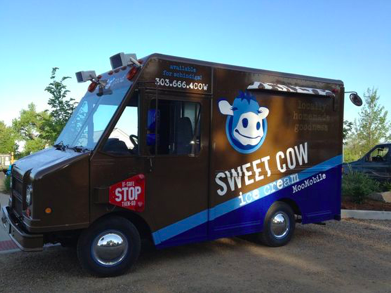 Sweet Cow also has a food truck that visits local events and can even be rented out for parties! 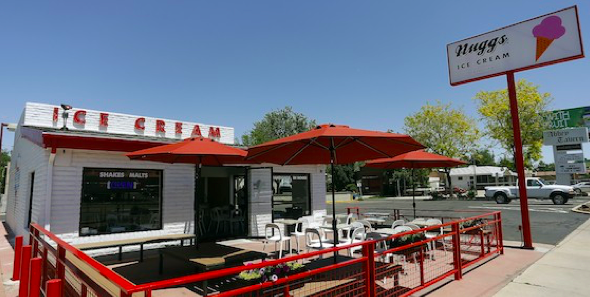 Although this place is known for their burger bar, 5280 has their own ice cream shop with a separate door from the restaurant. 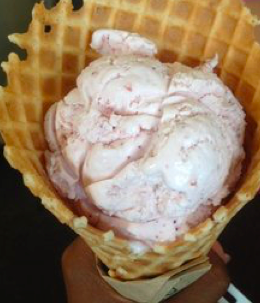 The shop has 8 “always available” flavors along with 8 “something special” flavors that their in-house chef creates. Like Sweet Cow, 5280 prides themselves on sourcing from local and regional farms and locations. 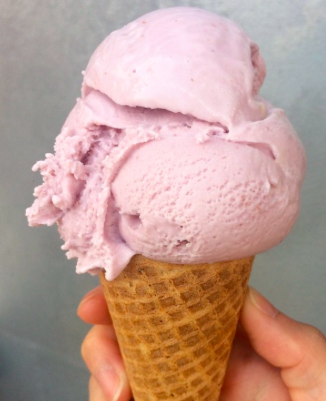 You can eat your ice cream in a classic cone or cup, or enjoy it as a shake or sundae. 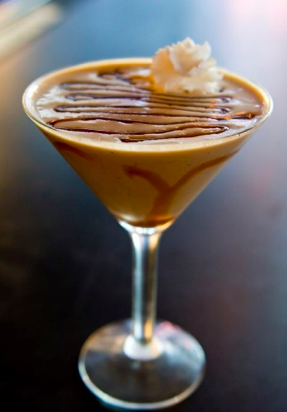 If you’re 21 or over, 5280 also offers delicious shaketini’s – an alcoholic ice cream beverage to die for! 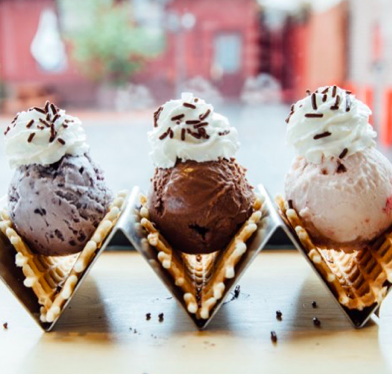 There are still so many more scoops to lick across the city but I hope this gives you some options when you find yourself craving ice cream while in Denver!